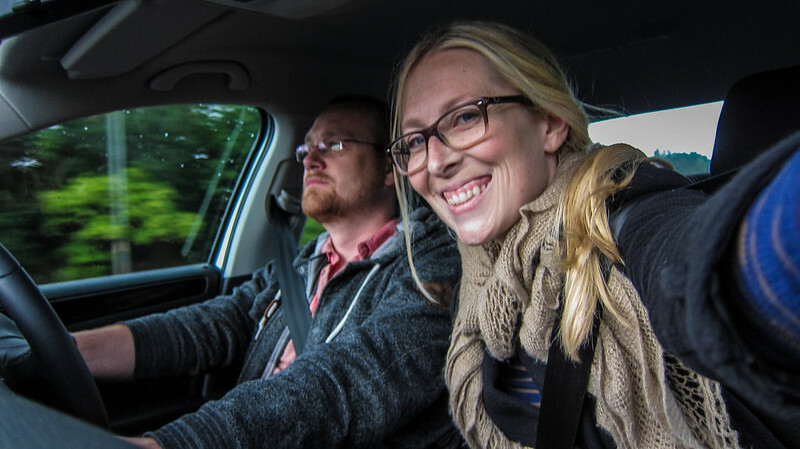 This September, Jordan and I made a somewhat last minute decision to hop on a plane and head out for a road trip around the UK. We opted for a 2-week stint exploring Scotland and England, which really meant 2400 miles driving through Scotland and England. And to be honest, we could have easily spent 2 weeks in each place! We landed in Edinburgh, Scotland and took a couple hours to settle in, relax and grab food. 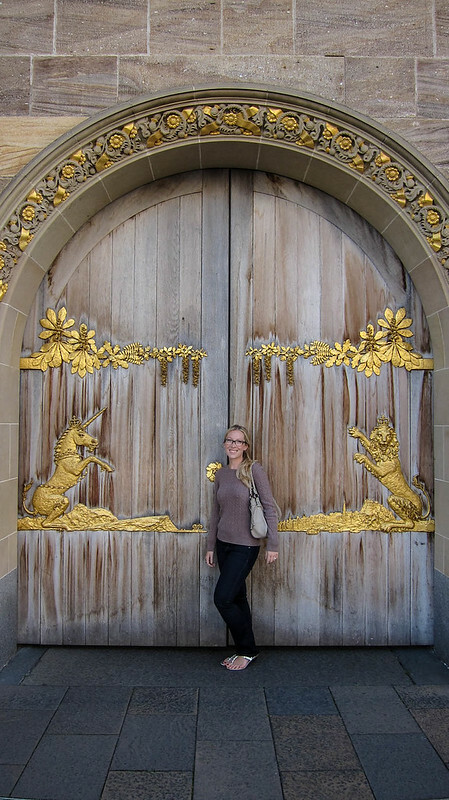 It’s a huge touristy city, so we decided to only stay the day and head out the next day for the countryside. 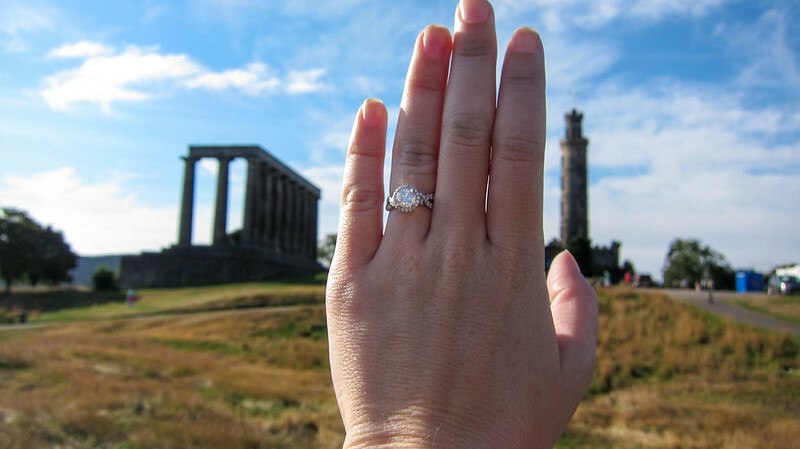 We did, however, make it up to a huge hill where several monuments overlooked the entire city and countryside. It was gorgeous. Fun Fact: Scotland’s national animal is a Unicorn. Yes, you read that right. A Unicorn. England’s is a lion and the UK seal has both animals on it. See the photo below for the shot in front of The Queen’s Scotland residence, Holyrood Palace. 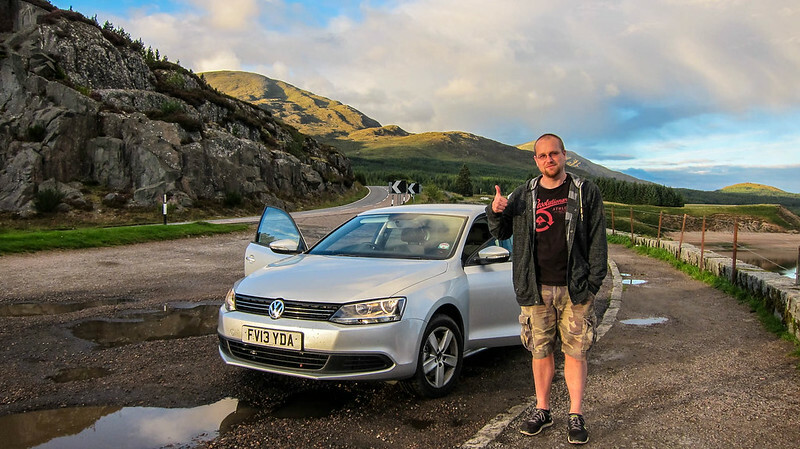 We picked up our rental car – apparently the LAST automative rental in all of Scotland- and made our way out to the country. 16 hours of flying, layovers and connections later, and we’re off! Jordan, exhausted, but doing an amazing job at driving on the opposite side of the road, AND the car. We drove and drove, and even managed to find the house where my great grandmother was born. Then we continued driving and stopped at nearly every castle along the way. 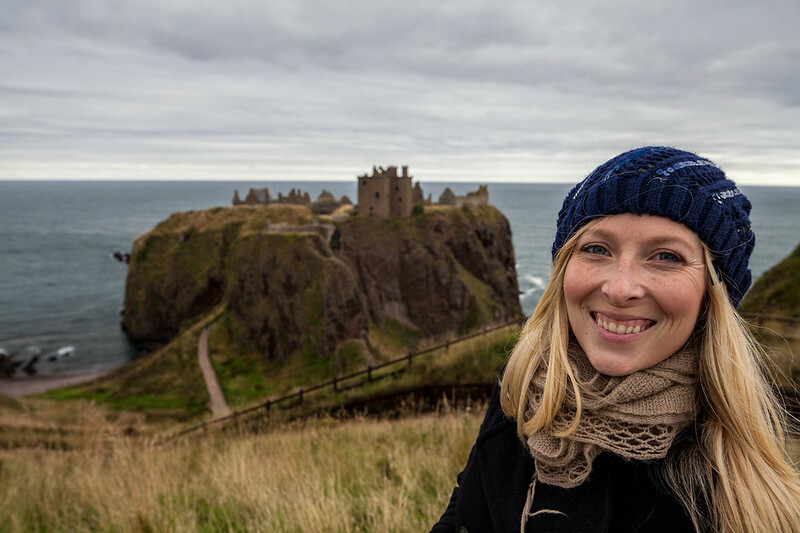 This is Dunnottar Castle, one of my favorites. Absolutely stunning cliffside with a short hike down, then back up to the castle! I think one of our favorite parts of Scotland was the West side. We drove through to Loch Ness and the Great Glen, which was even more picturesque than I could have imagined. It was everything we expected Scotland to be. Whereas the East side was more city-scapes and tourists. We made our way further West and ended up staying near Loch Ness. That whole area is just so beautiful! 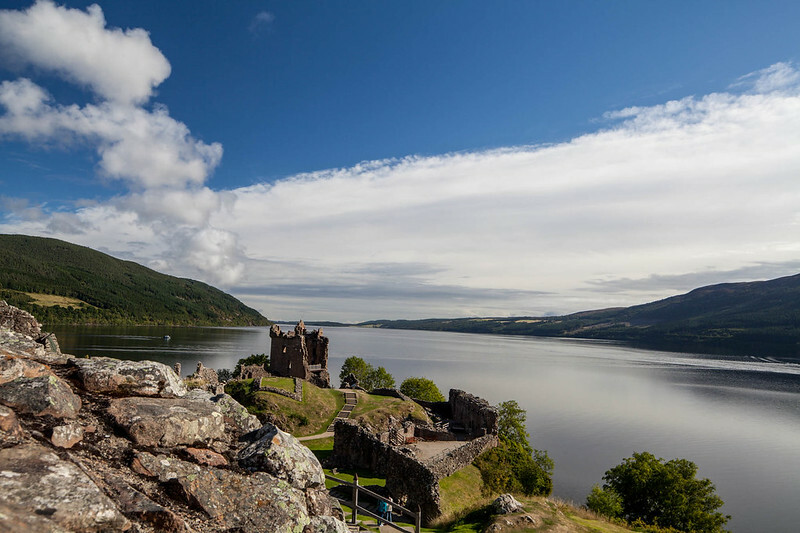 The photo below is of Urqhuart Castle on Loch Ness. We even made a friend in the Great Glen. He/She was so soft and VERY friendly. We pet him/her and even touched the horns. 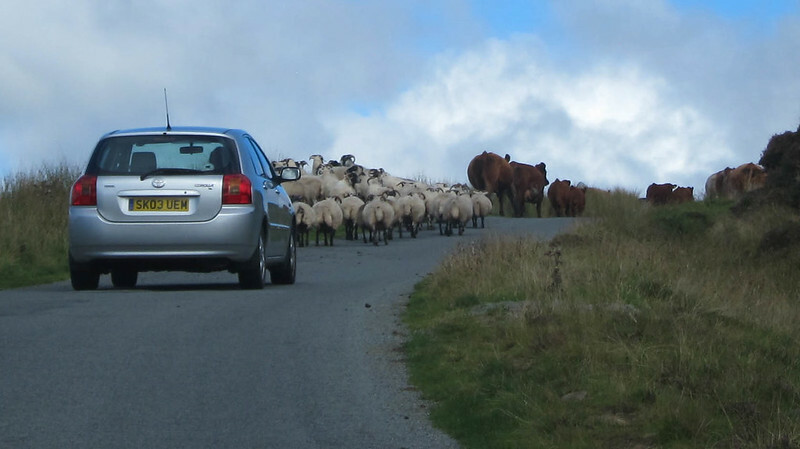 While touring the Western region, we even managed to get stuck on a 1 lane, 2 way street behind a herd of cows… and sheep! We inched our way along for about 20 minutes before the roads miraculously cleared. 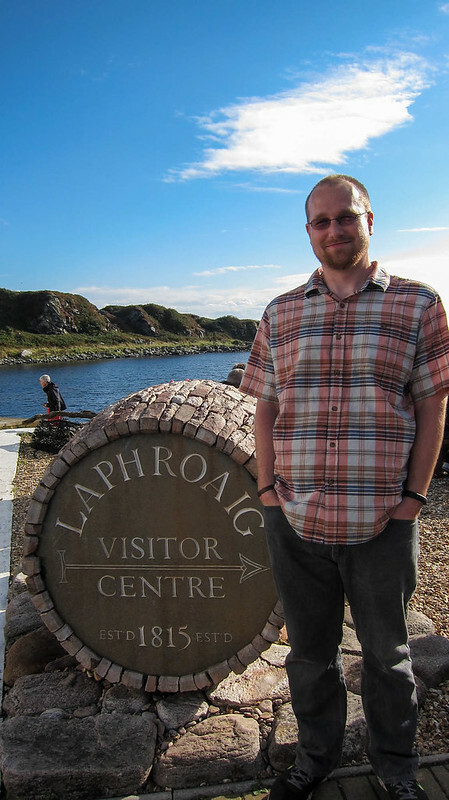 One of the reasons Jordan wanted to visit Scotland was, of course, to go Whisky tasting, so, we made our way to Islay for some of the more pete-y varieties! 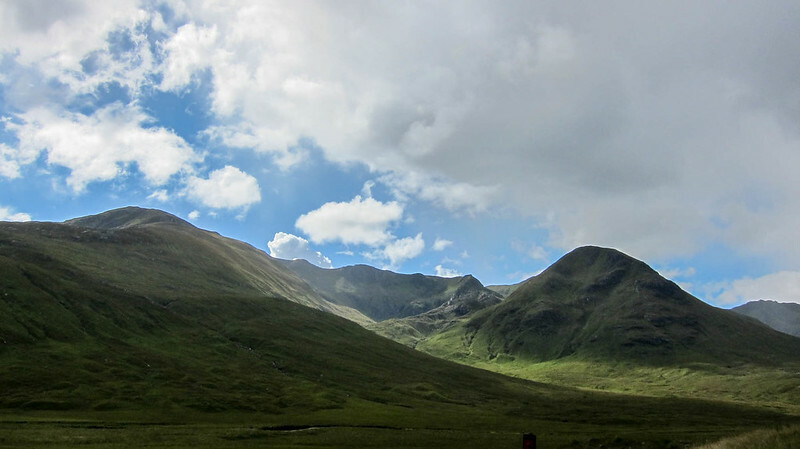 To see more of our Scotland trip, click here for our Flickr photostream! So that you aren’t scrolling for two days, through all 1200 photos, I’ll move us on to our England portion of the trip. We started by driving down the East side of England, down through the middle and to the Sherwood Forest. 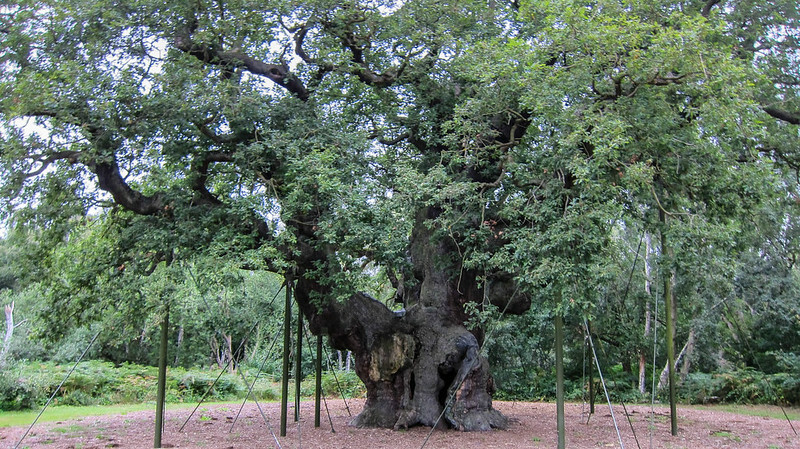 Below is the Major Oak, a supposed meetingplace for Robin Hood and his Merry Men. 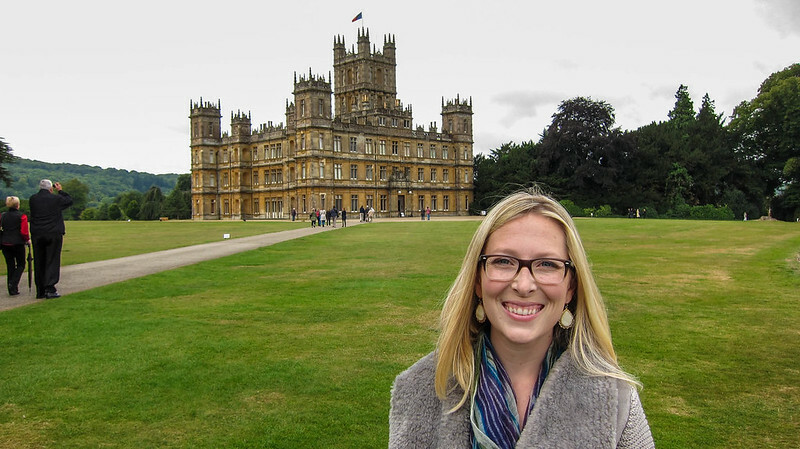 We rushed off to Downton Abbey – or Highclere Castle, to make sure we’d make the last tour time before they closed the property for filming the latest season of PBS/BBC’s Downton Abbey. 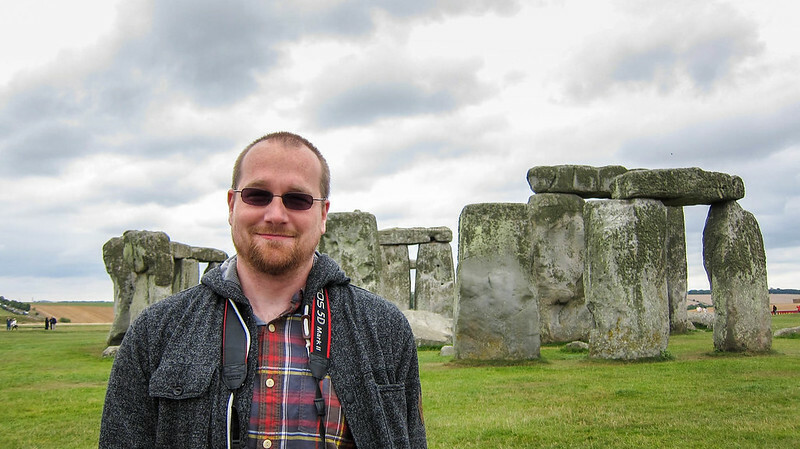 Then we drove to Stonehenge! We headed toward Bristol after this and found the castle where we’d be staying. It was absolutely amazing, and was rumored to have been the castle that HenryVIII and Anne Boleyn frequently visited. This was our breakfast the next day. 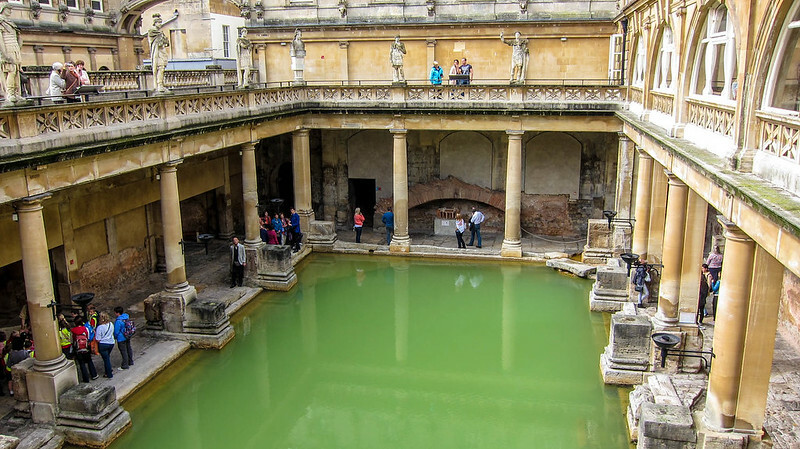 It was a good start to the day, and we decided to head in to Bath, where we could visit the ancient roman ruins of a spectacularly built two story roman bathhouse on natural hot springs. What you can’t see from this picture are the multiple steam rooms and jacuzzi’s. Really quite amazing! After 10 days on the road and visiting extended family in Cornwall, we were exhausted and ready to be back in our own beds, we’re off to drop off the car in Heathrow before heading in to London! We have a lot of other pictures from England, check them out in the “Touring England” set on Flickr! In total we visited about 10 castles, 25 cities, 11 hotels and 1 Island. It was such an awesome experience! 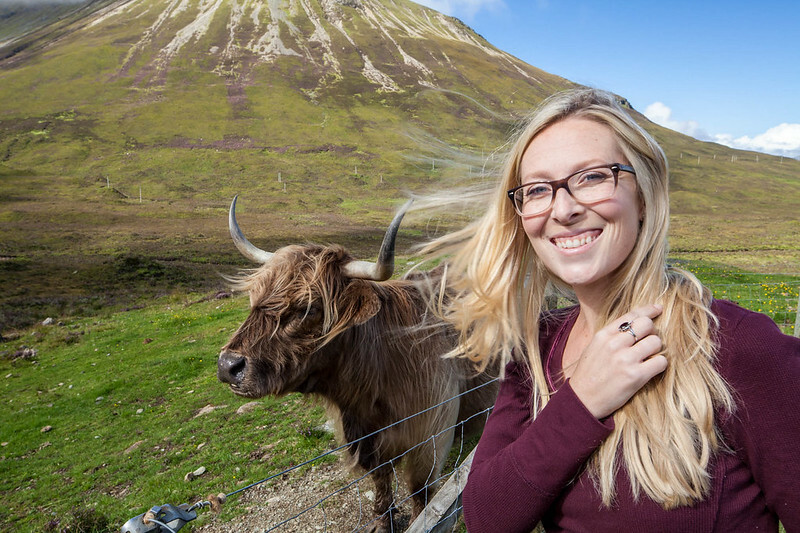 I’d highly recommend visiting Scotland, and plan on spending 2 weeks there! There’s so much to do and see there! 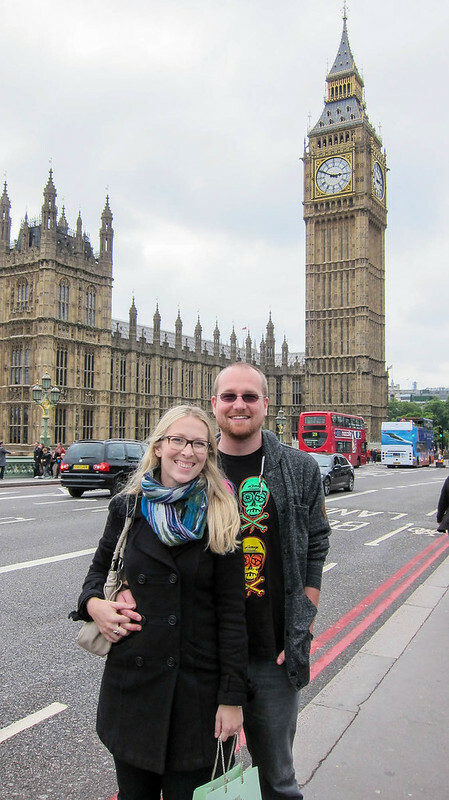 We desperately needed a long weekend, wanted a romantic getaway, but didn’t have a lot of time to mess with the process of flights, hotels and what to do when we get to where we’re going. So, after short deliberations, we decided on cruising down to the Baja Sur California region of Mexico. Like any good trip to Mexico, there was Tequila, Tacos, Tamales and Touring to be done. All three of which left us exhausted and in total enjoyment of the pool and lounges on-board. When all was said and done, Mexico was drug-crime free, fun and quite inexpensive for the whole thing. We even met a fun German couple whom we plan to visit! Generally, the cruise experience was awesome; enough time to relax on the water and enough time in Ensenada. Next stop? Tell us your favorite Mexico destination and we may make that our next stop! The Best Homemade Mac n Cheese Recipe. When it comes to Macaroni and Cheese, I, Mia, dub myself somewhat of a fanatical connoisseur of sorts. I’ve scoured the webosphere in search of the best places in Los Angeles, Seattle, New York…and just about anywhere else I visit for that matter. If we go out to eat, I find a place with Mac on the menu. If we end up eating somewhere that, by chance, offers Mac n Cheese, it’s always a struggle to order something else. Tompkins Square Westchester, CA- a unique, almost silky smooth, Blue Crab Mac n Cheese. Mastros Beverly Hills, CA- Lobster Mac n Cheese. You’ll have to ask them for it, as it doesn’t reside on the menu You’re welcome. Baby Blues BBQ Venice, CA- Down home southern- inspired tasty Truffle Mac n Cheese. Um, and they serve Kool-aid. 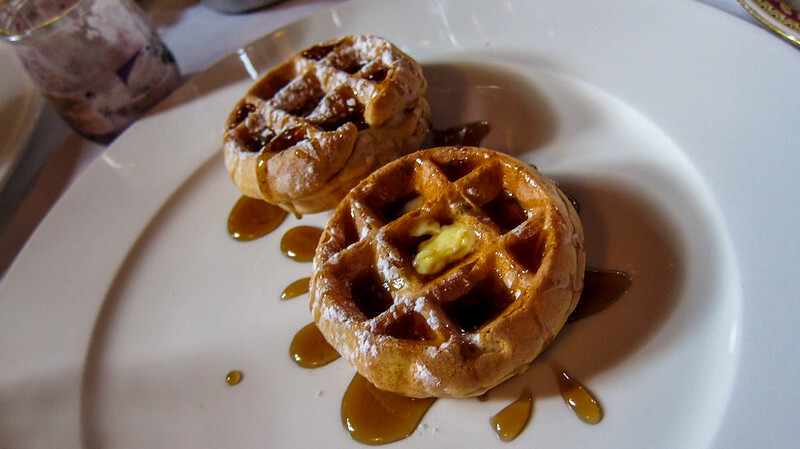 Violet (RIP), Los Angeles, CA- You shall be missed from the deepest parts of my creamy MnC-craving tummy. Deliciously creamy, serrano peppery goodness. Beecher’s Cheese Seattle, WA- Creamy beyond your wildest imagination with chipotle chile pepper and gruyere cheese. Artisanal Fromagerie & Bistro New York, NY- Holy béchamel sauce! Amazing noodle-to-sauce ratio with a nice, crispy crust. Chez Mia & Jordan Los Angeles, CA- Ok, so we’re not an establishment in any way, but I can honestly say that our recipe has by far been my favorite. To be fair, our cheeses run us $75 so it was, understandably so, the best I’d had. Prepare pasta according to package directions. Strain and keep warm. Melt butter in a large saucepan over medium-low heat; whisk in flour until smooth. Cook, whisking constantly, 2 minutes. Gradually whisk in milk, and cook, whisking constantly, 5 minutes or until thickened. Remove from heat. Stir in salt and black pepper, 2/3 of the cheese, and cooked pasta into a large pan. Bake at 400° for 20 minutes OR until bubbly. If it’s bubbling, definitely remove it from the oven!